He’s also the reason I got the apartment in Brooklyn. When I found out that my prospective landlord rescues animals (and because she asked about him when I told her I have a cat), I sent a photo of Dixon with my rental application. When the landlord called to say that I’m in, she said my move was “shameless, shameless!” Then when I went to sign the lease, she again said how that was a shrewd maneuver. I pimped out my cat to get an apartment and I’m not ashamed! 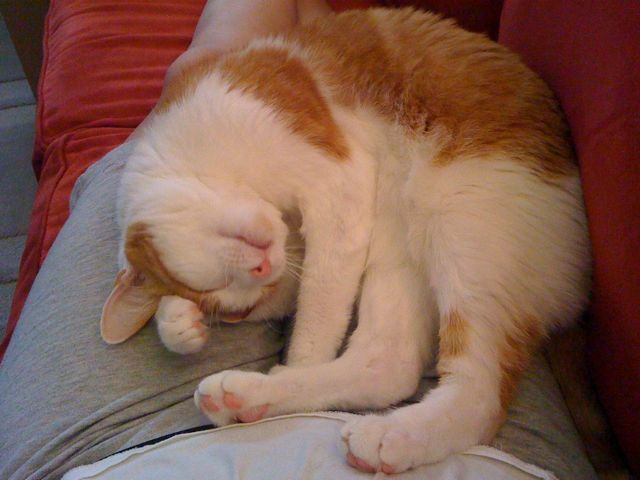 If you had a cat as lovable and huggable as Dixon, you’d do the same.